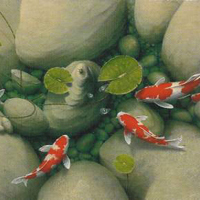 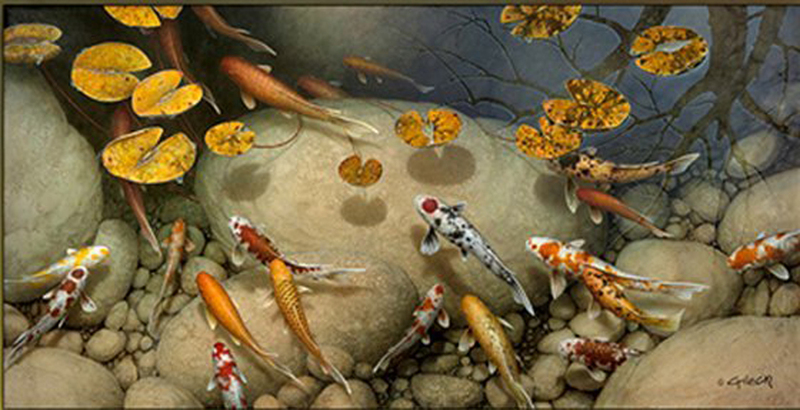 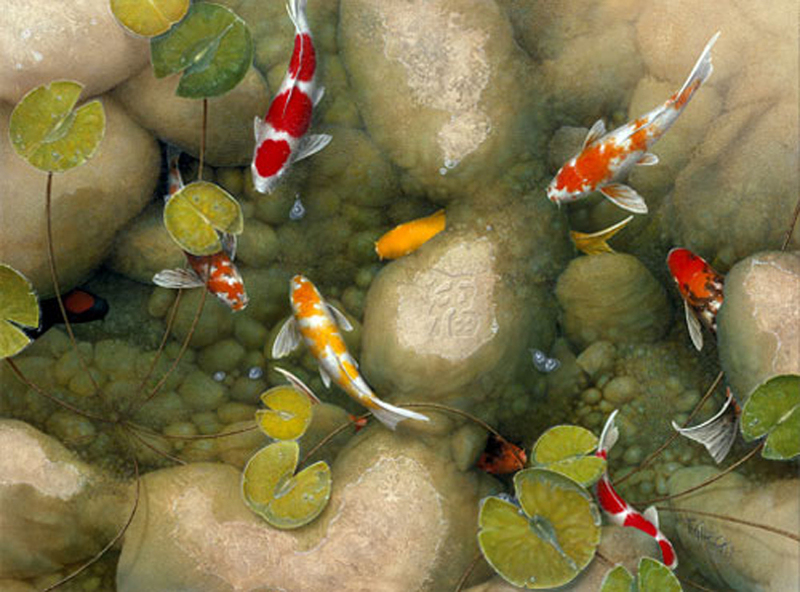 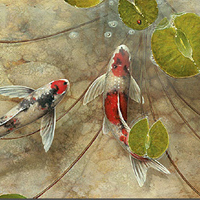 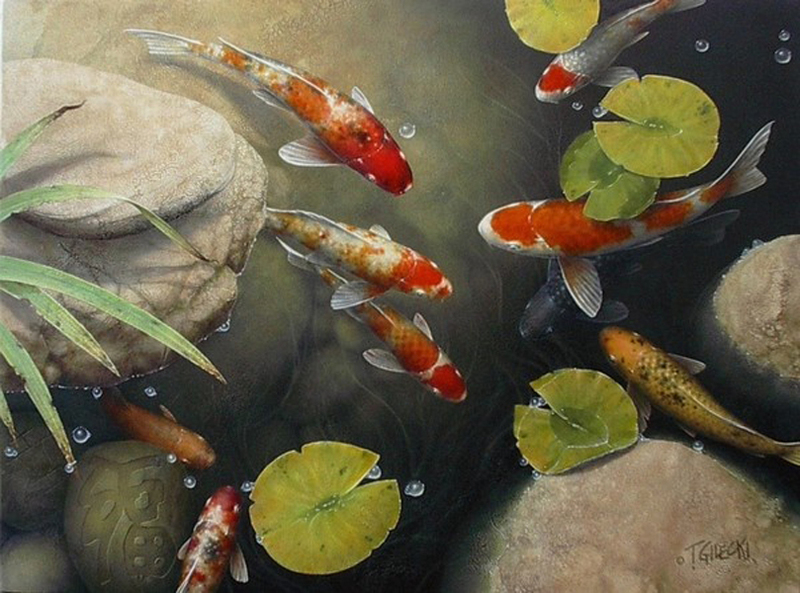 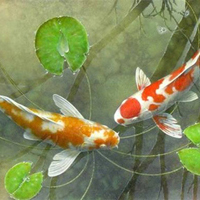 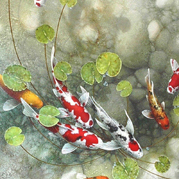 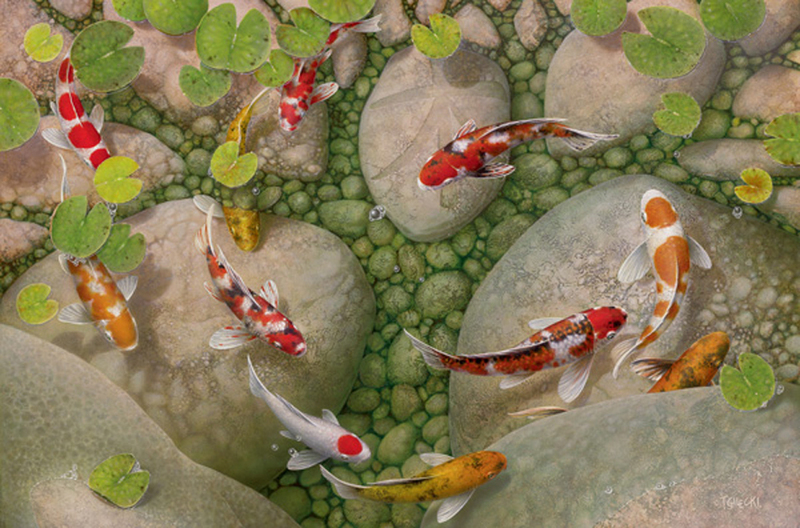 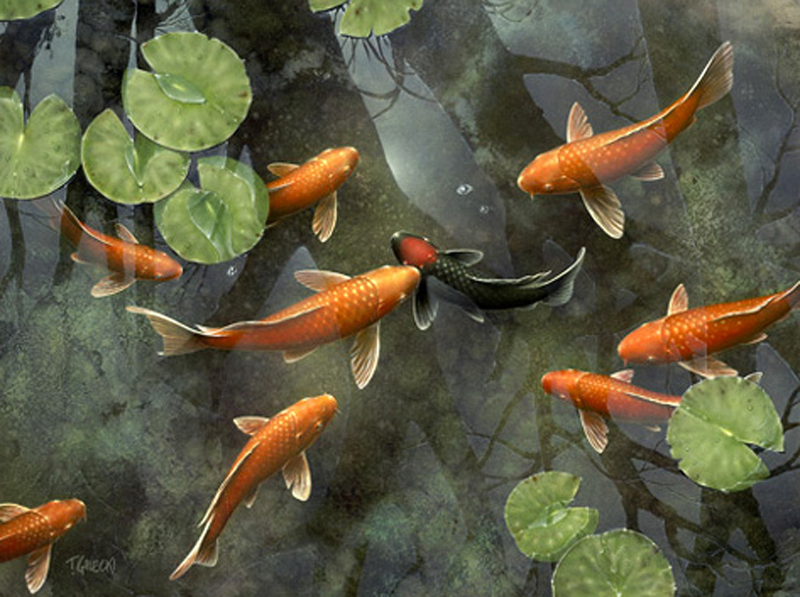 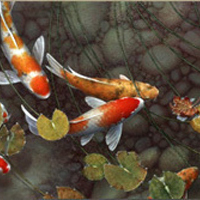 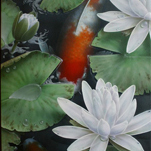 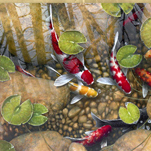 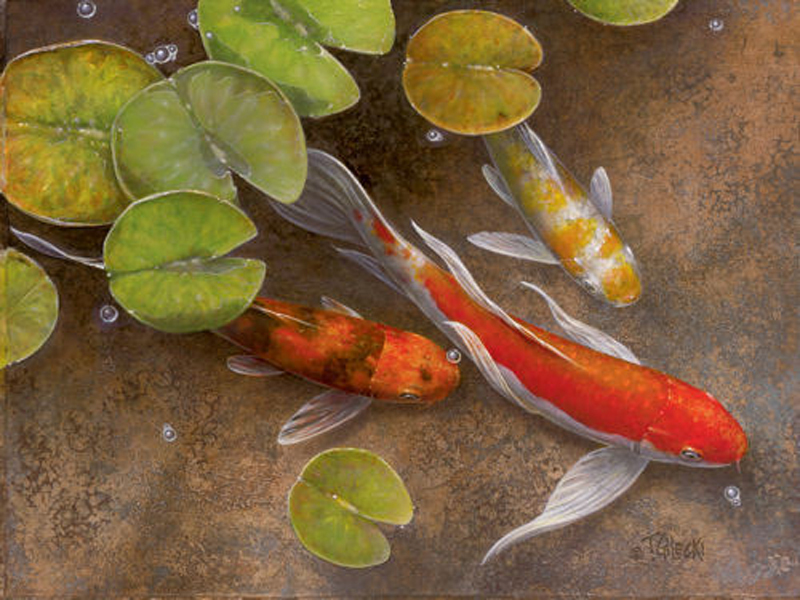 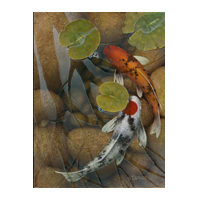 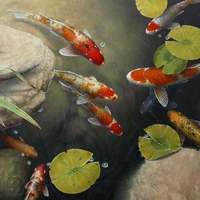 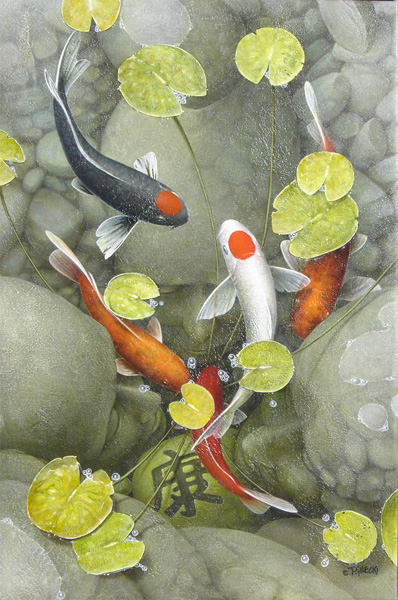 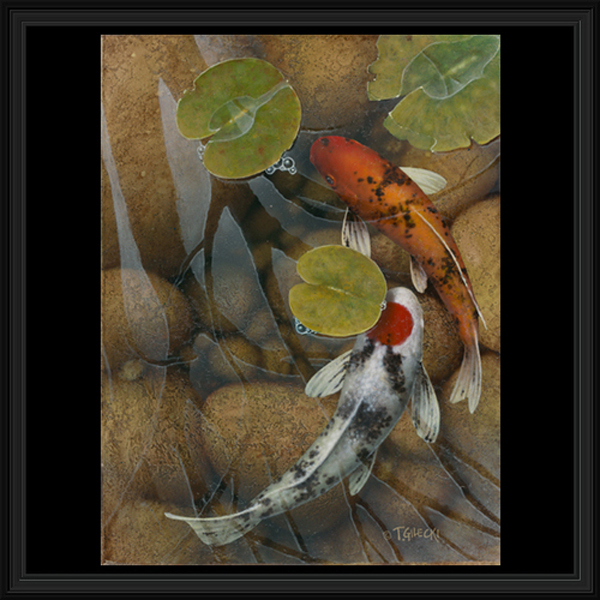 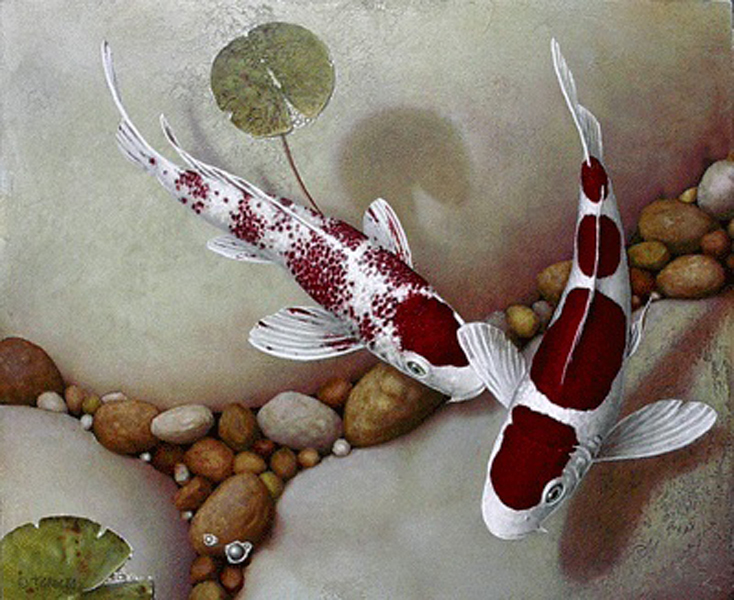 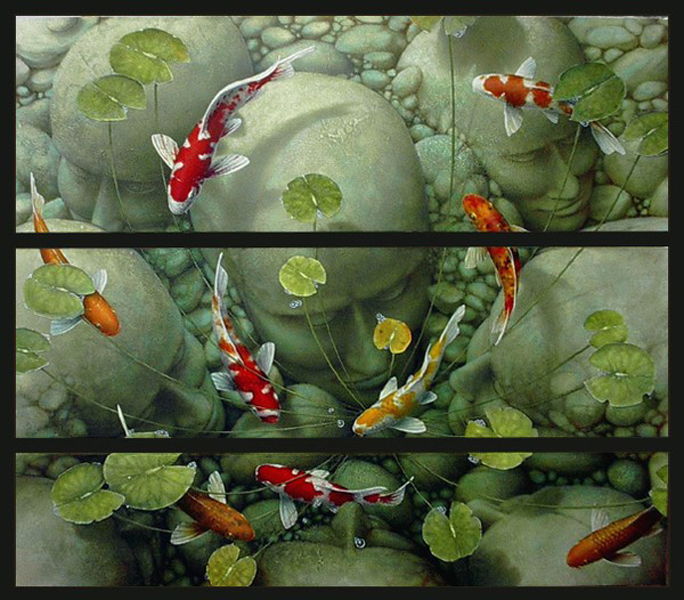 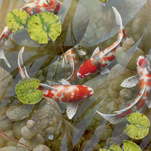 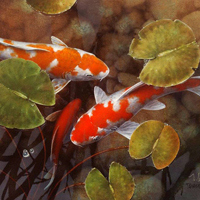 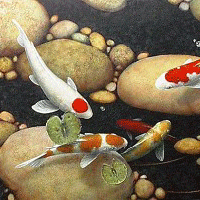 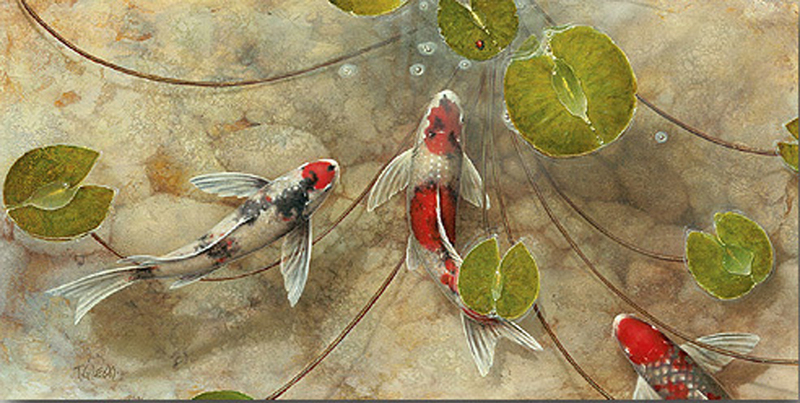 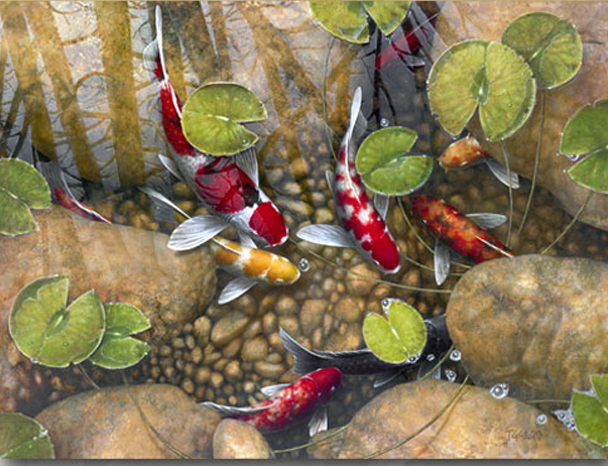 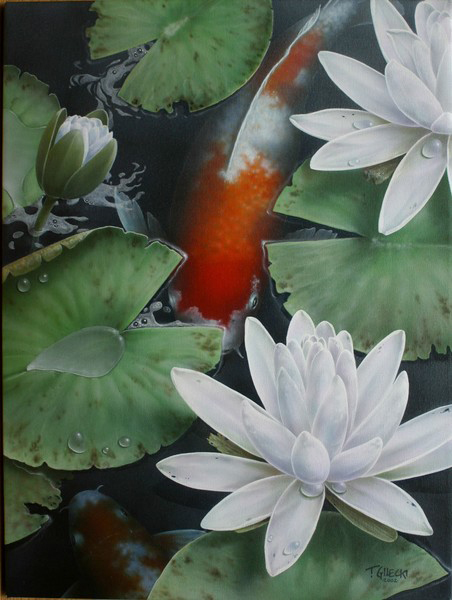 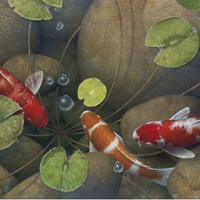 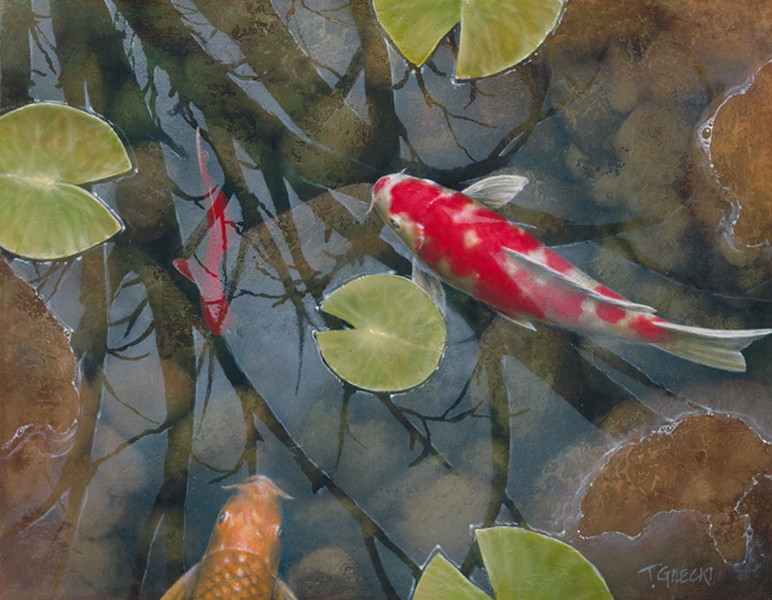 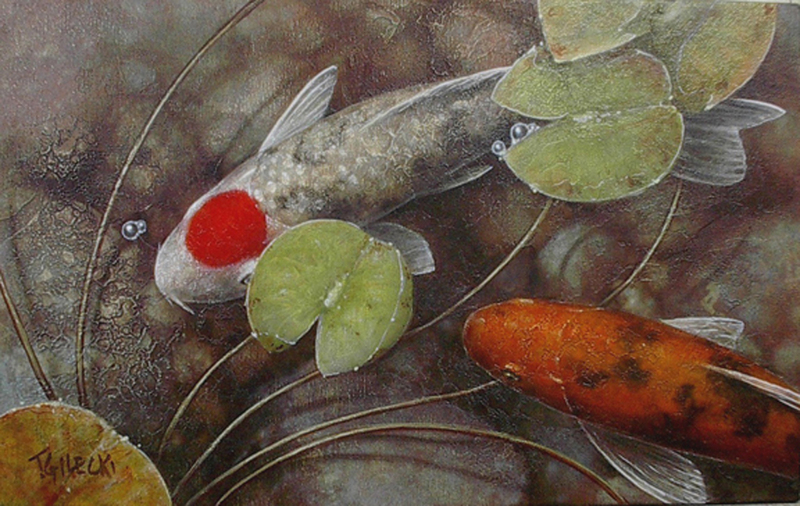 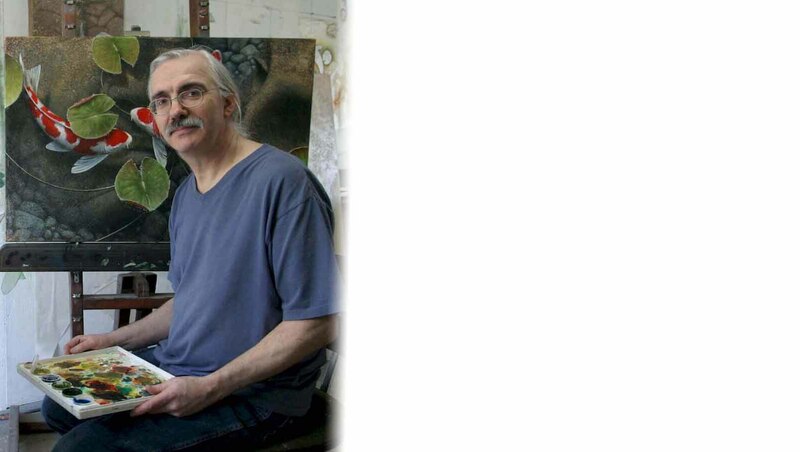 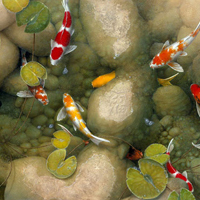 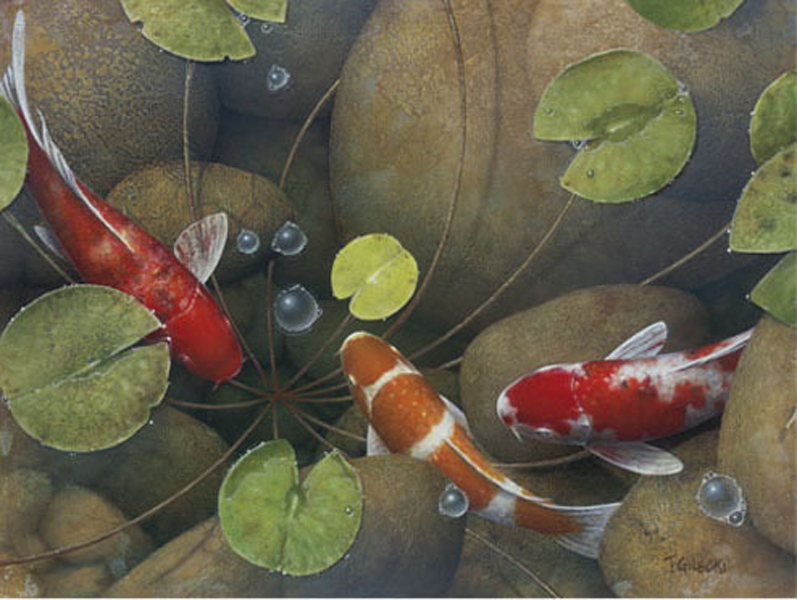 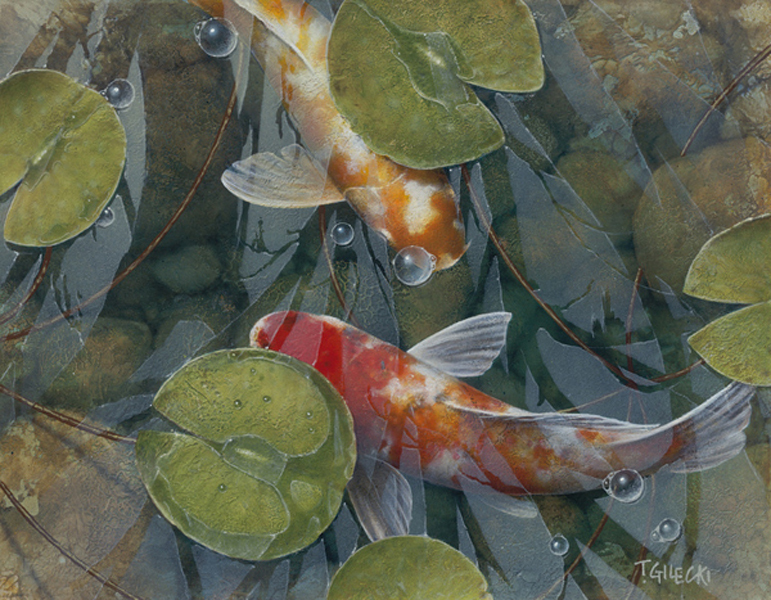 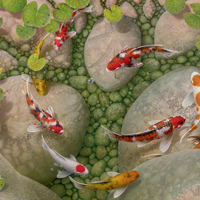 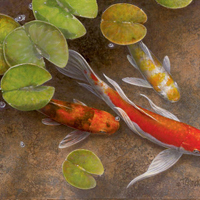 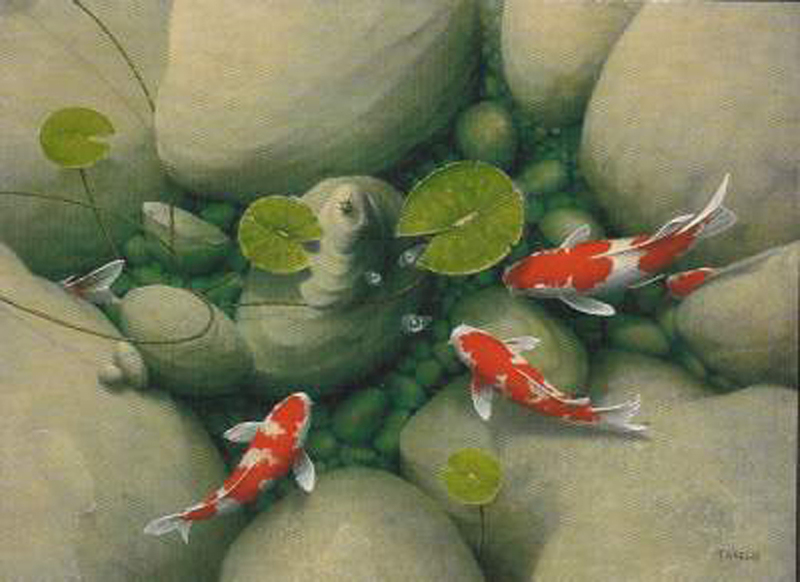 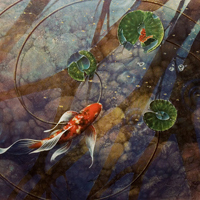 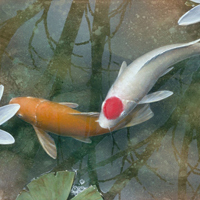 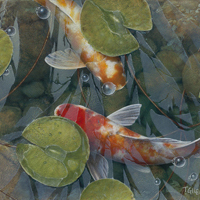 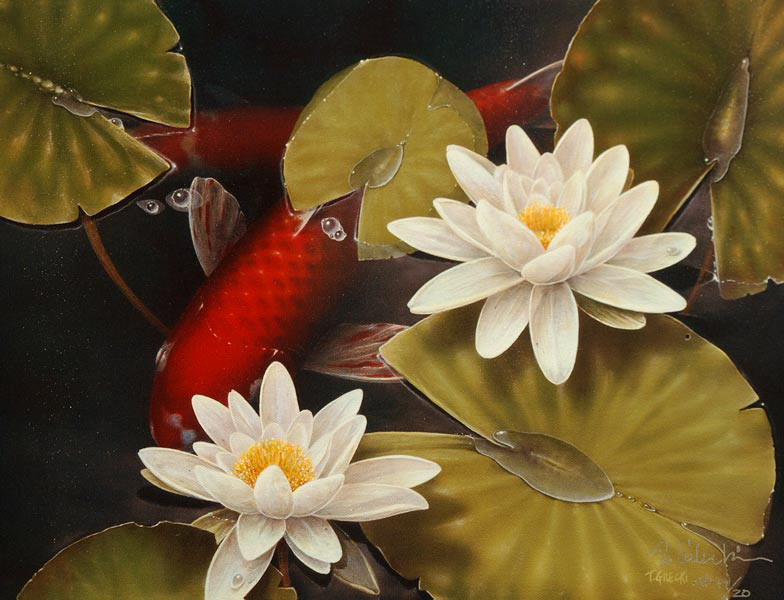 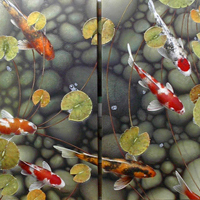 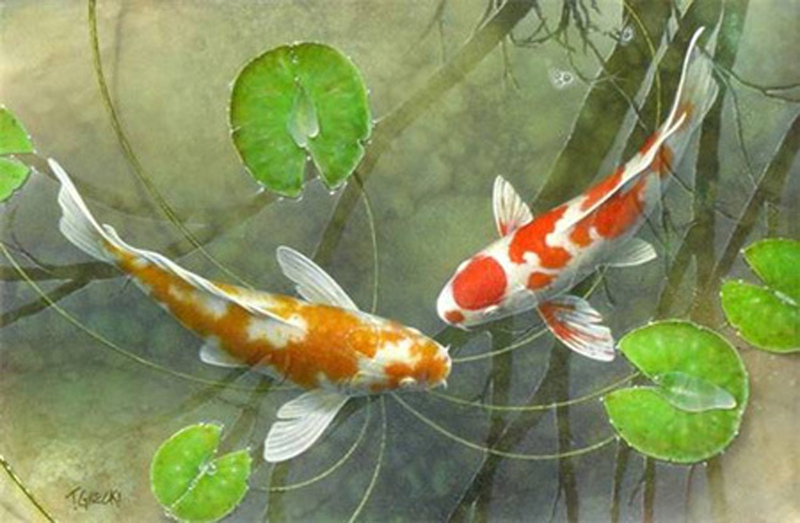 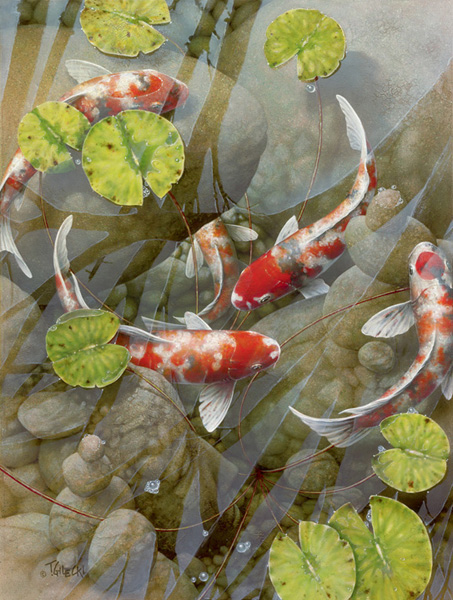 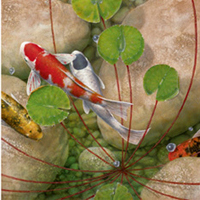 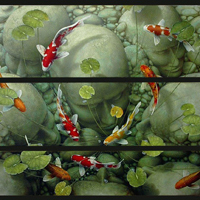 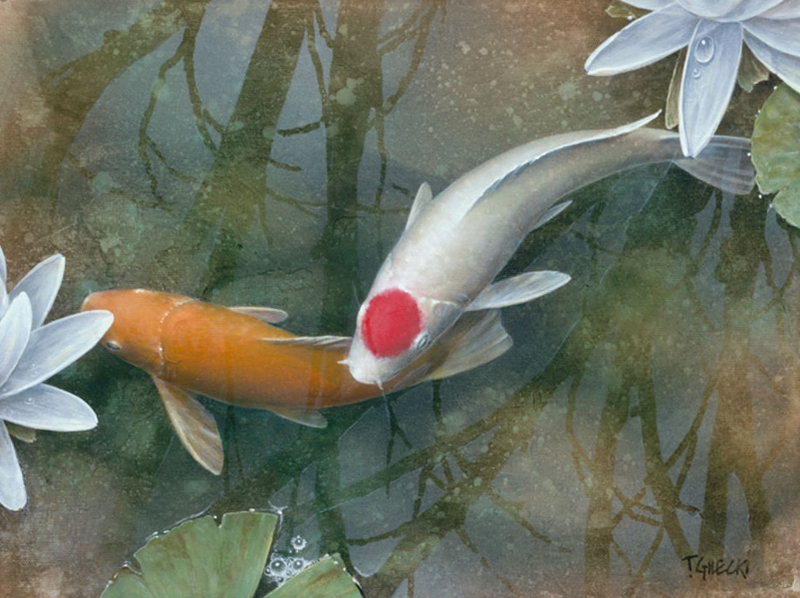 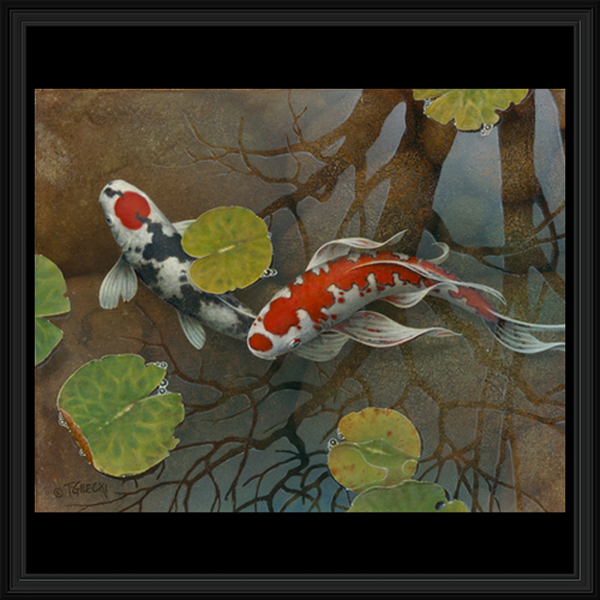 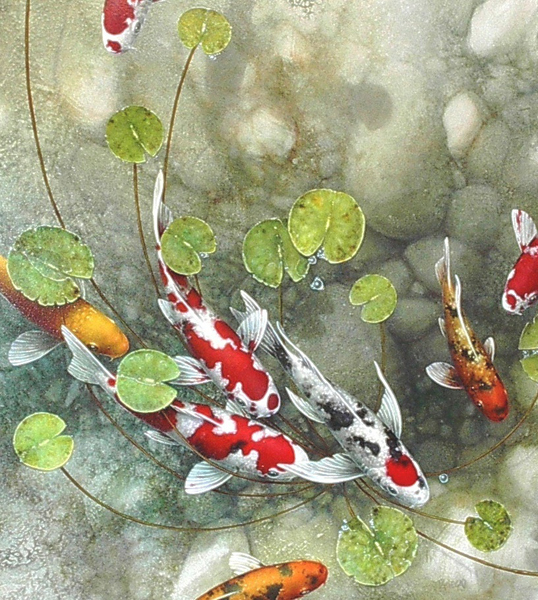 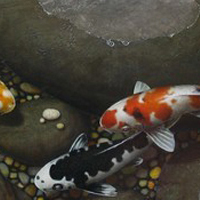 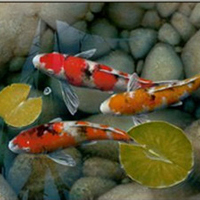 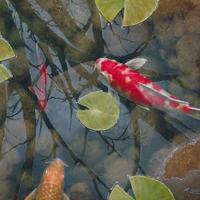 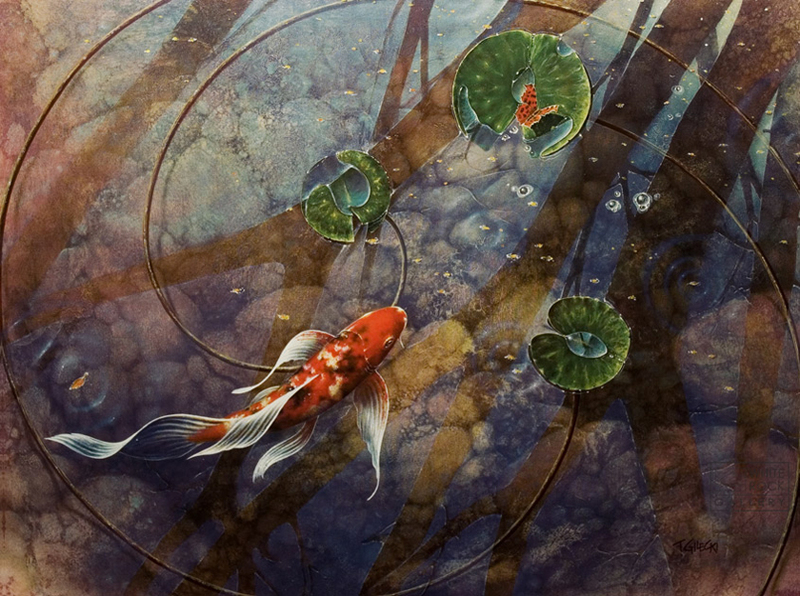 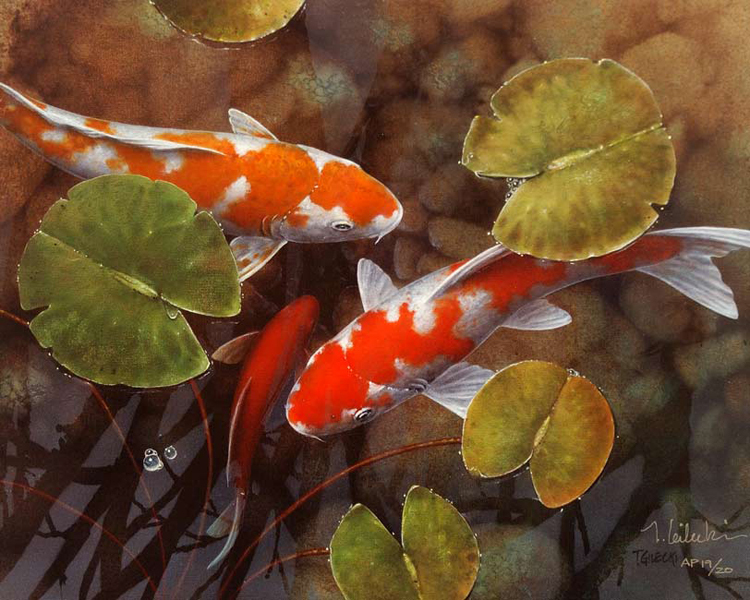 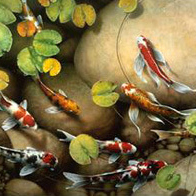 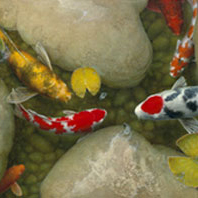 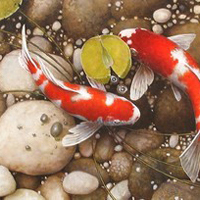 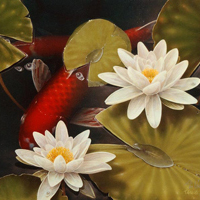 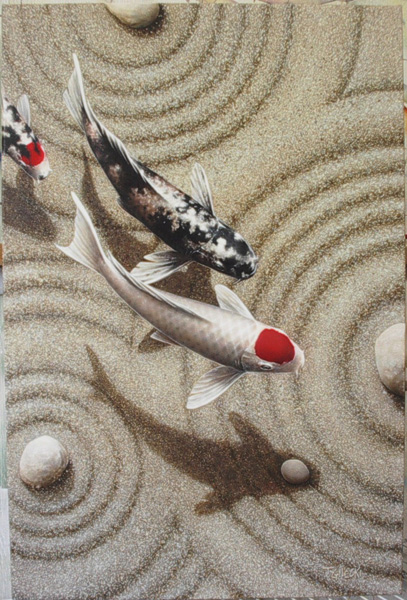 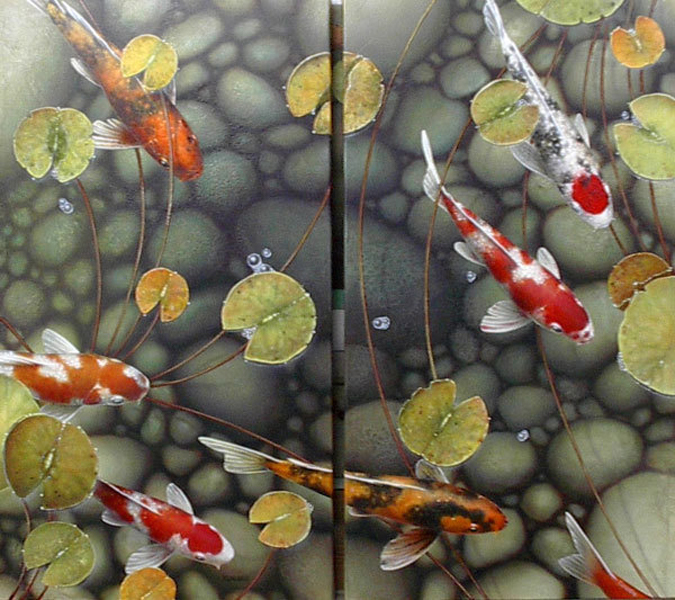 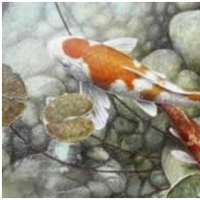 An ardent interest in the beauty of Koi, and the diversity of their color has led Terry Gilecki, to devote his artistic endeavors to capturing their essence. 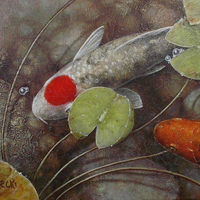 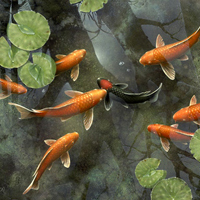 Collectors all over the world have been buying these exotic images and, while Koi are the main feature of his work, Gilecki also likes to include their surroundings by merging the elements above and below, as well as those reflected on the water’s surface, in his paintings..Born in 1954 in British Columbia , Gilecki received a diploma in Commercial Art in 1973 and began working as a free-lance commercial artist. 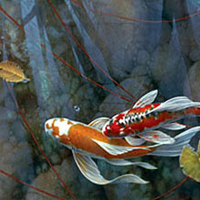 His imagination and ability to innovate proved to be outstanding when confronted with challenges. 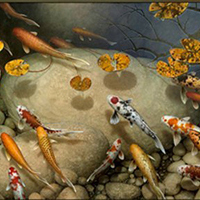 In just a few years, with a talented staff he had personally trained, he began to independently produce large pictorial art for international advertising corporations. 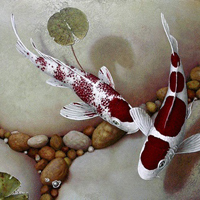 Along with this endeavor, he began painting fine art. 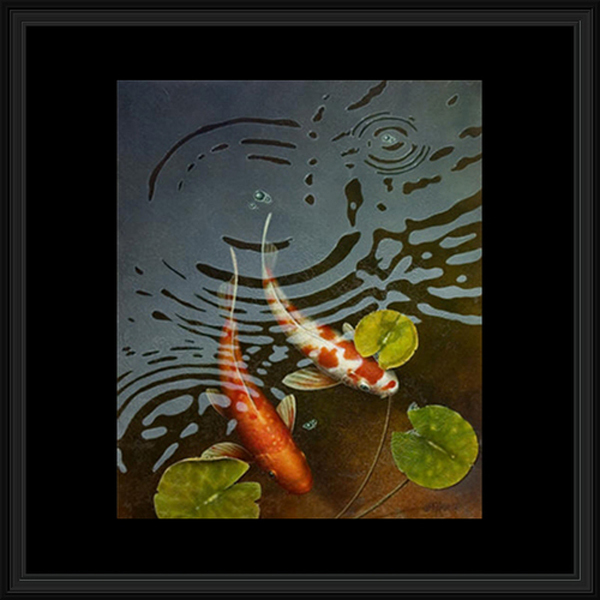 As the growing demand for his art increased, he realized that he had found his niche and now devotes himself fully to the field of fine art.